All that to say, I can’t wait to give this recipe a try for myself! Looks so amazing. 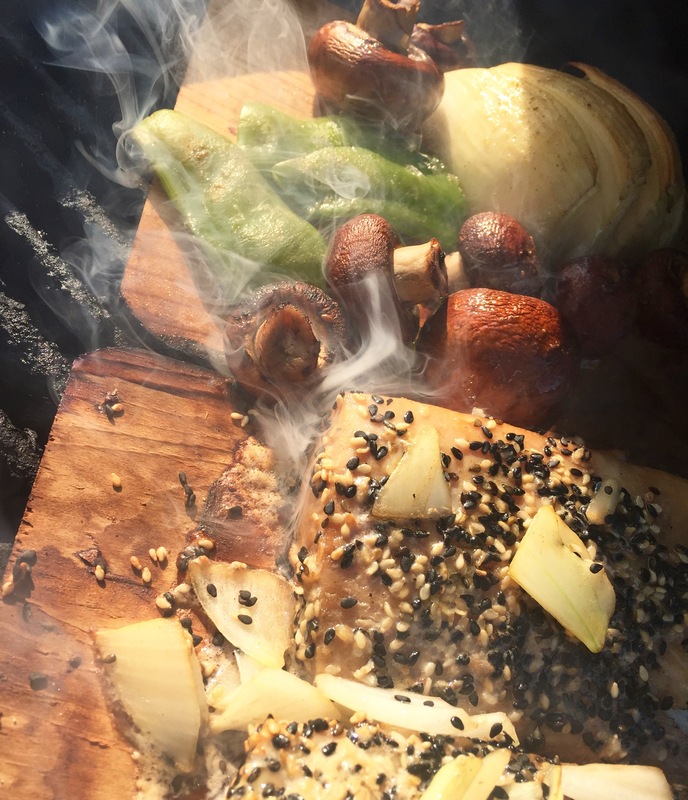 Her family described it as “bursting with flavor!” They grilled it on a cedar plank which adds to the exquisite taste. Does your menu need some variety? 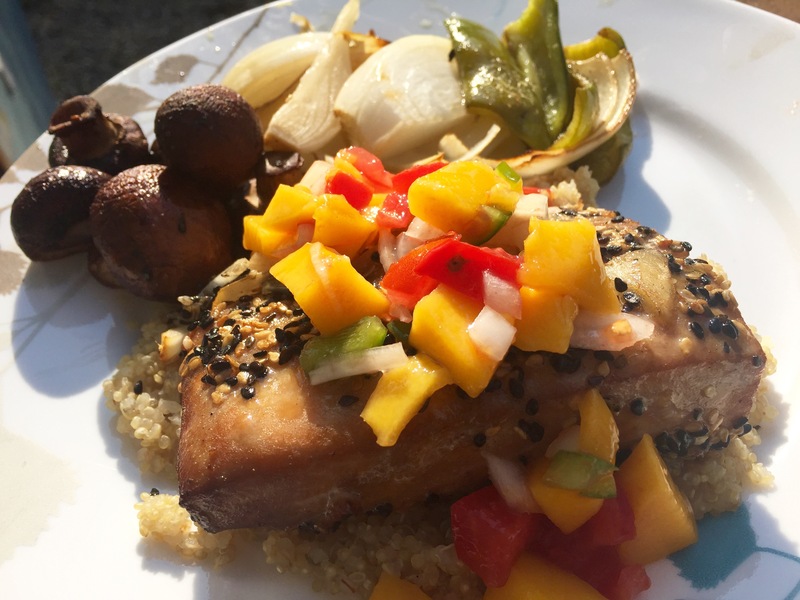 Add this savory fish to your dinner plans! Note from the cook: This recipe also works great with salmon if you are unable to get the mani-mahi. *I usually buy the seeds not yet toasted then quickly toast them before use so they don’t go rancid. To toast, heat up a dry skillet or pan on the stovetop and add the seeds. They will toast quickly, so keep an eye on them. If you’re using medium-high heat, they should be done in about a minute or less. Again, keep an eye on them, because once they toast, they burn very quickly! 1.) Whisk all ingredients for marinade in a small bowl. Pat dry your mahi-mahi with paper towels and place in sealable container. Pour marinade over fish, rubbing the spices into the flesh. Save some extra marinade for basting/garnish. Marinate for 1 hr in the refrigerator. 2.) Pre-heat grill or grill-pan on stove-top. 3.) 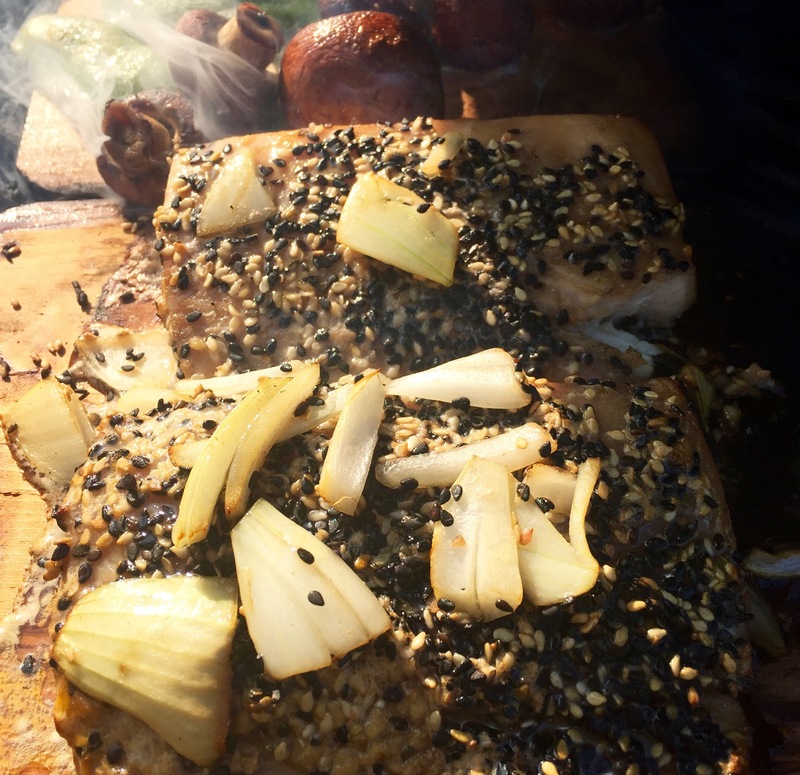 Toast sesame seeds and add half to marinating fish and half to your extra marinade on the side. 4.) Add mahi-mahi to the grill, skin side down. You should get a nice crispy skin this way and I’ve found the fish actually stays juicier, as you’re not drying it out. 5.) Flip after 2-3 minutes. Cook on the other side another 2-3 minutes, until the fish is white and flaky all the way through. 6.) Carefully remove your fillets from the grill and garnish with extra sauce and sesame seeds. Mix together n serve over you fish. I served mine with quinoa and roasted grilled veggies.